UCR: So I think whenever a band starts out they must have visions of being signed and touring. What did that feel like? What does it feel like to be playing shows in Australia and then have somebody come and tell you that they want to sign you and then bring some of these great songwriters with them to collaborate with you? 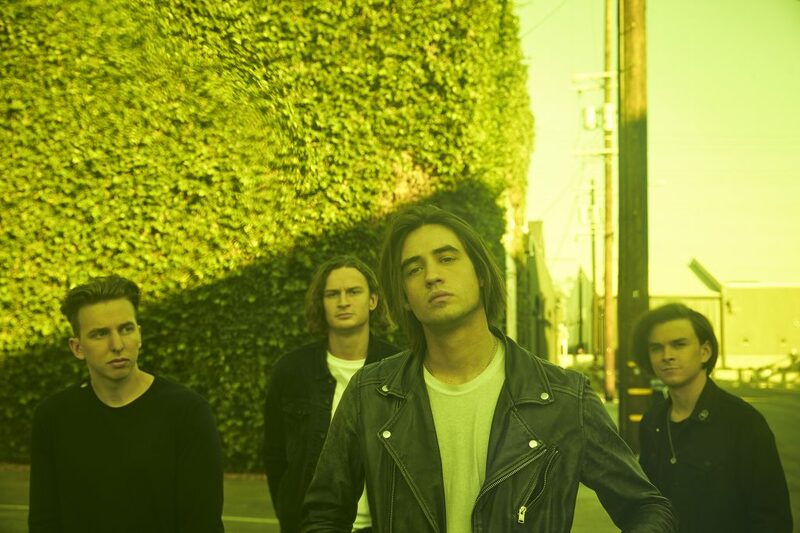 (The Faim have had the opportunity to collaborate with Pete Wentz (Fall Out Boy), Mark Hoppus (blink-182), Josh Dun (Twenty One Pilots), and Ashton Irwin (5 Seconds of Summer).) And then following that, you begin touring the world. What has that experience been like? SB: It’s so surreal man. There’s a first time for everything. Like that first tour offer or that first offer to go write with somebody or that first offer for a record deal. Each one of them is as exciting as the other. It’s just this total rush of energy. I’m thinking “Oh my gosh! This is actually happening!” It’s pretty cool. UCR: That sounds so awesome! So once that happens is there a sense of pressure to measure up to the opportunity or do you just simply feel motivated to prove that you deserve these awesome things that are happening? SB: In everything, we do we’re always looking for that next step to push forward. I think you always have to find out a balance between living in the moment and appreciating everything that’s happening in the now but also keeping one eye on the future and seeing where you can progress from there. 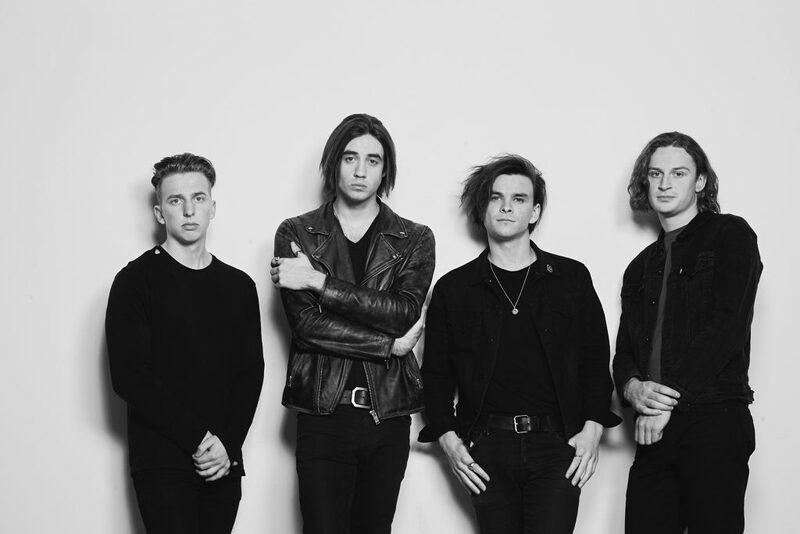 UCR: The Faim have had the opportunity to collaborate with some really good songwriters. Is it hard to not just go along with what they want to do because they have already been so successful in their own careers? I think I would be like “Yeah, whatever you want to do sounds great!” But I’m sure as a band you have your own vision in your own style that you want to remain true to. How do you balance staying true to yourselves while accepting the advice of artists who have already been successful in their careers? SB: I think the biggest thing is to be willing to trust in yourself, that you’re there for a reason. A lot of the people that we’ve worked with are people we’ve looked up to you ever since we were little kids. They come into the studio to write with us and the first thing we notice is that they’re passionate musicians just like we are. When you look at it in that way, like we’re all just there to create music. We’re all there to create a song that we’re passionate about you just take a step back and think this is less about having somebody in here that we’ve idolized and it’s more about just creating something awesome. And then the thing that helps you stick to who you are as a musician is you remember that you’re meant to be there and you’re there for a reason. You’ve come this far by just believing in yourself and that your talents or whatever are worth you being there and that you have something to offer to the writing sessions. That’s what we really hold close to us. That helps us stick to our vision of what we’re going for as a band. UCR: That’s such a good attitude to have. Because they wouldn’t be interested in working with you if you weren’t deserving or a band that works hard to “make it”. UCR: Do you remember the first concert you ever went to? SB: Yeah I do. It was a Muse concert back in my home in Perth. It was epic! It blew my mind. The stage production, the musicianship, everything was insane so for a first concert I was pretty lucky to have that one. UCR: That’s almost a hard concert to have as your first concert because with the kind of production they have it’s pretty much all downhill from there. SB: Each show brings its own specialty, but that show was certainly a great way to kick it off. SB: I remember our first live performance was at my 19th birthday party. We played it at night time and I remember my friend’s dad built us a stage. It was awesome but we realized we forgot one thing. We forgot lights! So when we went on stage to perform it was pretty much pitch black. We were using torches to try to make it visible on stage. It was pretty funny. UCR: That’s a pretty great way to have a first show because I’d imagine if it was your birthday party it was your friends and family that were there. So it’s not like you have the cold eyes of an open mic night looking at you. SB: Oh we’ve definitely had those as well! But yeah, it was definitely a great way to kick it off. 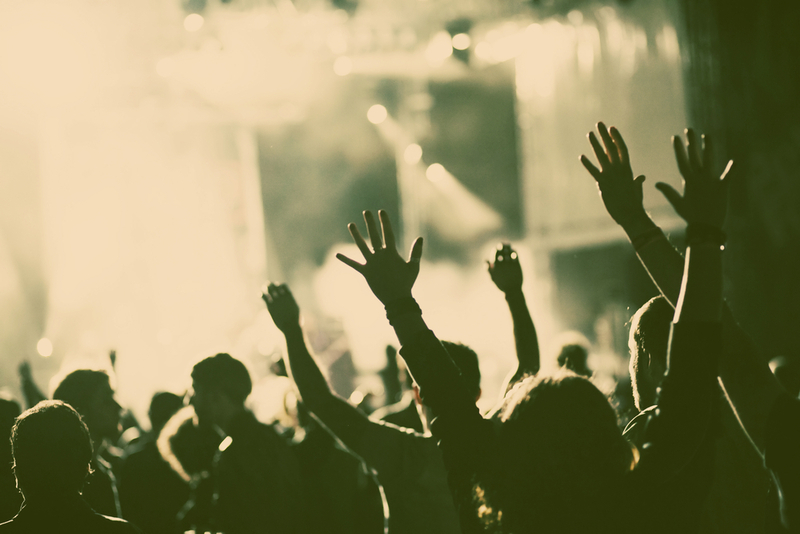 UCR: What is the best concert you’ve ever been to? SB: Oh that’s going to require some thinking. I’m trying to think between all the festivals and concerts I’ve been to that’s going to be hard to name just one. One thing I have really found is with touring is that your appreciation for a live performance is definitely held by if you know the band. As I mentioned we toured the states with another Aussie band called Hands Like Houses. We became really close with them. Being able to watch them play every night was awesome. They’re all great musicians and it’s like you become part of their set every night. You begin to understand the people and you become just great friends. So I think those have been some of my favorite concerts because it’s just great seeing people that you’re mates with perform to new people all around the country. UCR: What is the best show you have played to date? SB: I would have to say it was one of our headline shows in Cologne. We had an awesome turnout. It was sold out and the vibe was absolutely crazy. We had never played to such an energetic crowd before. It was just a really really fun show. UCR: So this might be the first time people in Utah will be seeing you live. What can they expect from a live show from The Faim? SB: They can expect a high energy performance. Just four blokes up there being themselves who love music. That’s what we want to share. We want to create that space or you can just forget about everything that’s going on in the outside world. When you’re in that venue, when you’re in that room you can just enjoy your time there. UCR: Sounds great! Looking forward to the show! 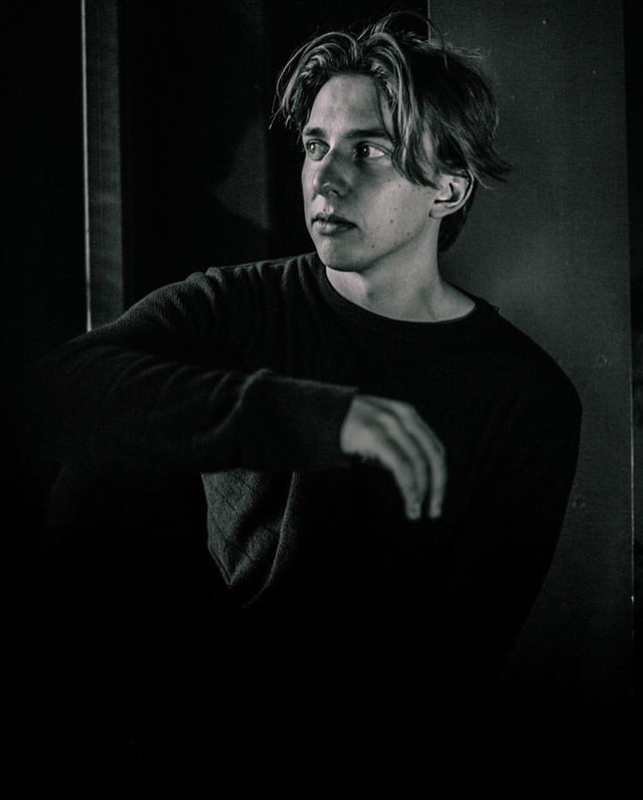 To purchase tickets to see The Faim with Andy Black click here!